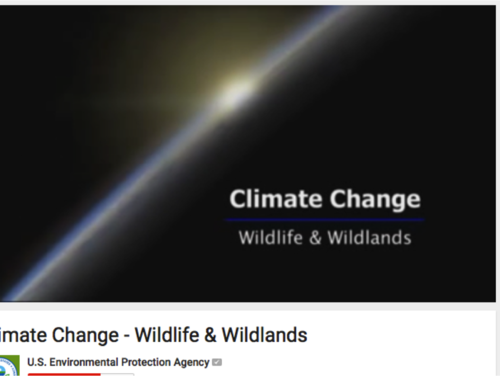 This video focuses on the science of climate change and its impacts on wildlife on land and in the sea, and their habitats in the U.S. There are short sections on walruses, coral reefs, migrating birds and their breeding grounds, freshwater fish, bees, etc. Video concludes with some discussion about solutions, including reduce/recycle/reuse, energy conservation, backyard habitats, and citizen scientists. 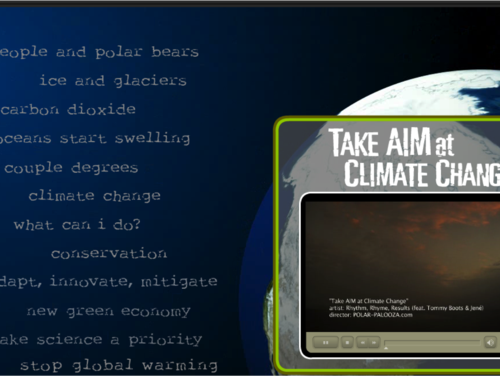 This music video features a rap song about some of the causes and effects of climate change with the goal of increasing awareness of climate change and how it will impact nature and humans.